May buy any quantity. May redeem any quantity for groups. Must use entire value in 1 visit; can't be split over multiple days or tee times. Not valid Saturday, Sunday or on holidays before noon. Call Talons Cove for specific date restrictions. Tee time reservations required; subject to availability. Tax, if applicable, and gratuity are not included. Expires 6 months after purchase. See the terms that apply to all deals. 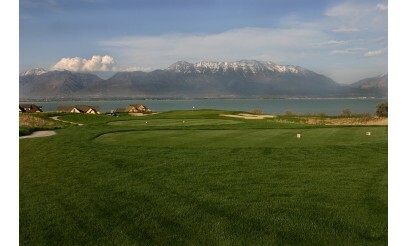 Talons Cove Golf Course offers challenging 18 holes and beautiful scenery along Utah Lake. Click here to view a golf pro's advice for each hole. 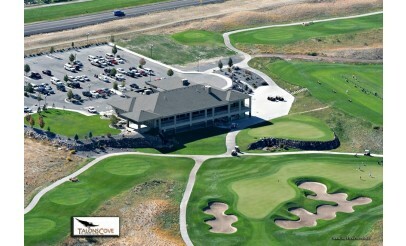 The golf course also offers and all grass driving range, two putting greens, a pitching green, and a practice sand trap. At Talons Cove Golf Course, you’ll find emerald green grass, challenging bunkers, sand traps and unexpected twists along the way. 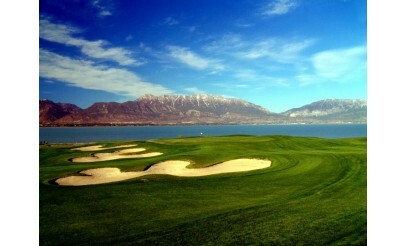 With a golf pro’s best advise for each hole, Talosn Cove is confident you can learn to play like a champion.